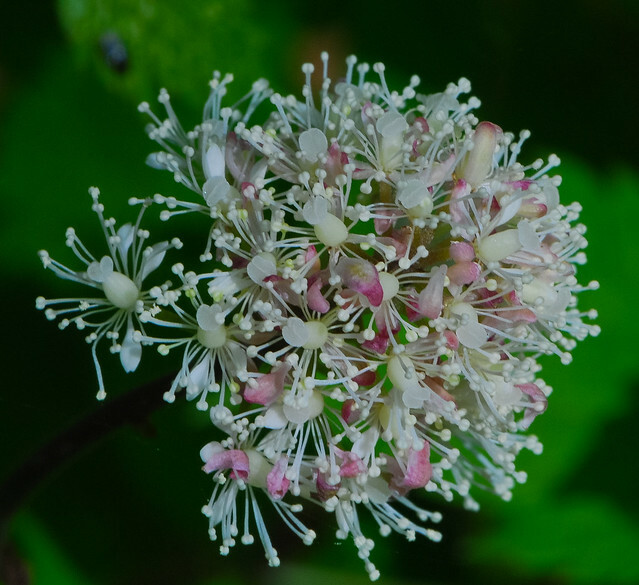 What does Ceanothus americanus mean as a name of something? Ceanothus americanus is a species of Ceanothus. Ceanothus americanus is a species of Rhamnaceae. CEANOThus AMERICANUs. The leaves of this plant are called New Jersey tea, and are used in some parts of North America as a substitute for the Chinese leaf. The root is said to be astringent, and yields a cinnamon-coloured dye. CEBER. (Ceanothus americanus.) The leaves of this plant were employed during the Revolution as a poor substitute for imported tea. — Eyes feel too large ; lids swollen CEANOTHUS AMERICANUS 441. Ceanothus americanus. * = 2. C. Azu'REUs Desf. The azure flowered Ceanothus, or Red Root. Identification. NEW JERSEY TEA (Ceanothus Americanus). 3. TALL MEADOW-RUE ( Thalictrum polygamum). 2. SPEARMINT (Mentha spicata). 4. FOUR-LEAVED MILKWEED (Asclepias quadrifolia). 5. VIRGINIA GOAT'S-BEARD (Krigia Virginica). Go to the thesaurus of Ceanothus americanus to find many related words and phrases! This page was last modified on 20 November 2017.